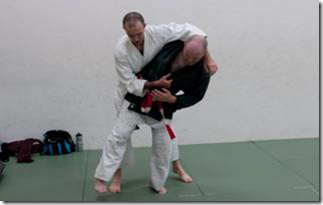 5 of us on the mats… 4 graded. Wilma, Laurence and Martin to Yellow Belt and myself to Green Belt. The rest are soon to follow! 4 students ……2 instructors … Syllabus and some throws !! !